At Linkenheimer, we value a collaborative, team based approach to solving our clients issues. We have an experienced, industry diverse staff who excels at big picture solutions and planning and detailed work to see projects through to fruition. One of our strengths also includes a strong network of international support and expertise via the Alliott Group International. an international association of accountants, auditors, tax advisors and management consultants whose network also includes an international group of lawyers. Alliott Group is ranked among the world’s top twenty international accounting associations, with more than 150 members and over 200 offices extending throughout Europe, Africa, the Middle East, North America, Latin America, Asia, the Far East, Australia and the Pacific Rim. By being part of the Alliott Group network, Linkenheimer LLP is able to combine its knowledge of the ‘local’ marketplace with that of far-reaching geographic areas. Alliott Group North America is the North American division of Alliott Group. Alliott Group is an international alliance of independent accounting, law and consulting firms. Founded in 1979, this alliance of independent firms now has more than 180 member firms in some 80 countries. Linkenheimer CPAs & Advisors is pleased to announce our affiliation with Sonoma County BEST (Building Economic Success Together). 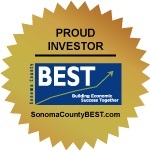 BEST is a private/public partnership dedicated to job creation and economic vitality, and is supported by leading business and government organizations throughout Sonoma County.